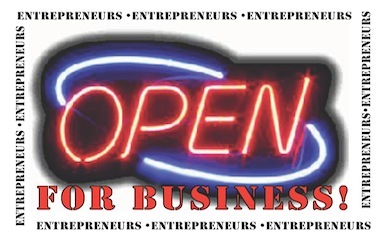 The Small Business Administration and Department of Labor have partnered on a new website to help states offer assistance to local entrepreneurs who want to start their own businesses. 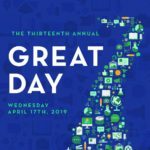 The site is geared toward helping states take advantage of the $35 Million the federal government gave to states to implement Self-Employment Assistance programs to help those looking to create jobs in their communities. These programs provide Unemployment Insurance recipients interested in starting a business with financial assistance, training and resources to get their businesses off the ground. Among the links to resources on the site, there is a link to the New York State fact sheet on how to apply for local assistance through this program. 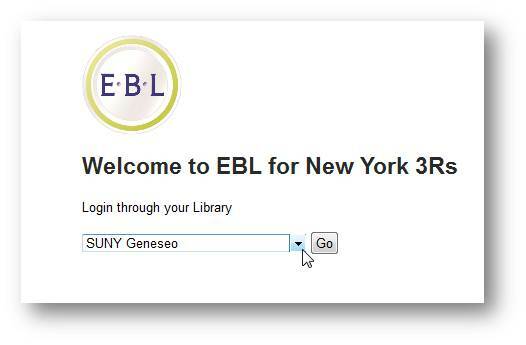 Starting this fall, Milne Library is pleased to offer ebooks on demand from EBL, a vendor specializing in scholarly and popular books. 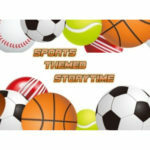 The current collection has access to over 5,000 titles, with majority of content published between 2011 and 2012. Publishers include: Ashgate Publishing, Blackwell, John Wiley & Sons, Princeton University Press, McFarland & Company and several others. 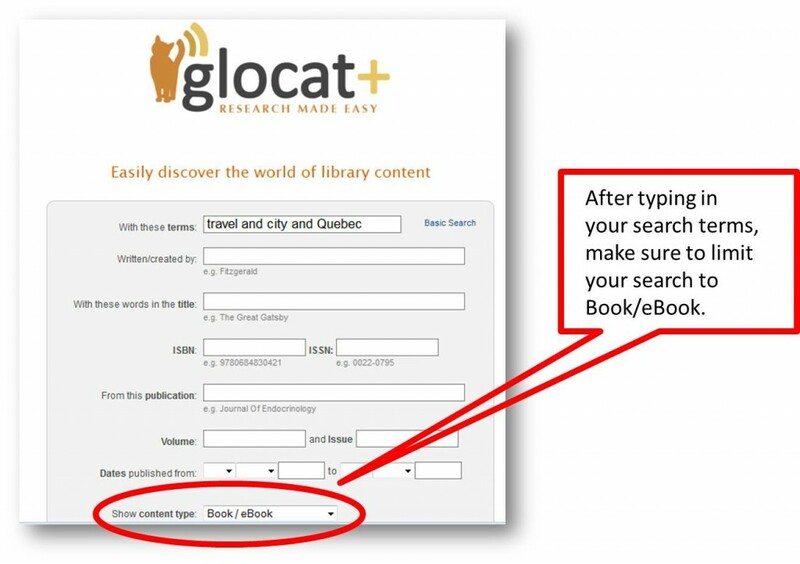 To access ebook titles, students, faculty and staff need only search GLOCAT+ for subject of their choice, then limit by Show content type to “Book/eBook”. 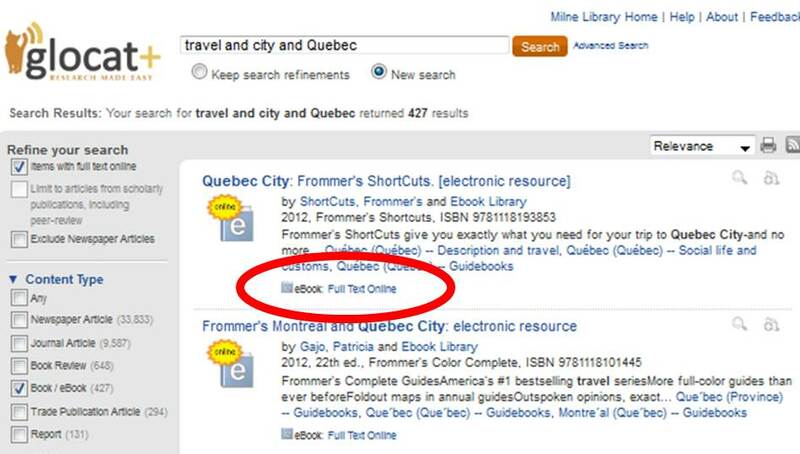 Once you have a list of results you will see a link for Full Text Online. Click. 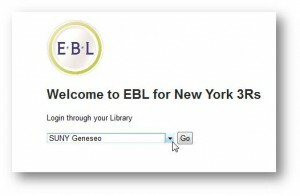 The link will take you to a drop-down menu where you will select SUNY Geneseo from the list of selected institutions. 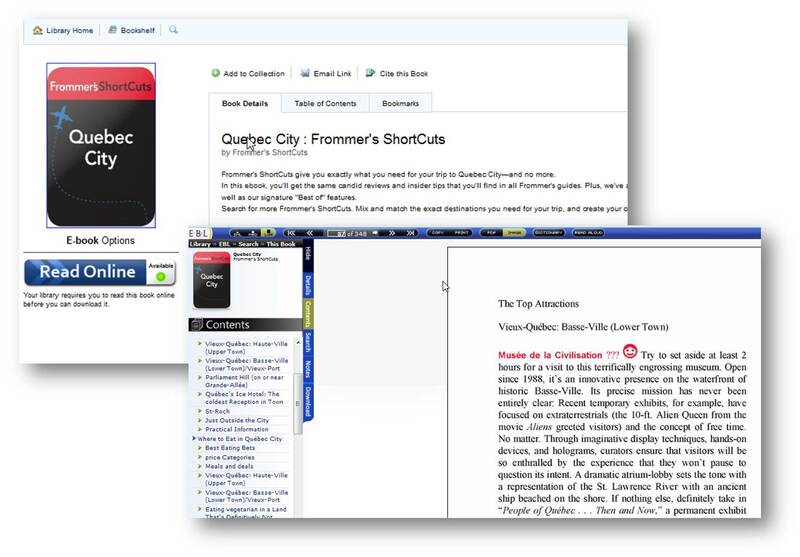 On the next screen you will see information about the book title you selected; click Read Online and your table of contents for the book will appear. 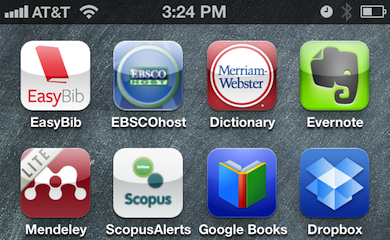 As with print books, a loan is required before access to an ebook can be made available for an extended period of time. 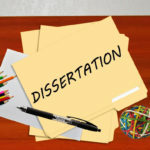 Borrowing a book will activate full text access for the length of the loan (in most cases 1 day or 7 days) and enable you to copy and print from the books. Note: To continue accessing the ebook once a loan has expired, simply create or request another loan as you did your initial loan. If you want to download a title to your e-reader or computer, click on the Download tab on the lefthand menu; you will need to have Adobe Digital Editions installed for downloading content. Please contact Kate Pitcher, Collection Development Librarian, if you have any questions or comments about the ebook collection. 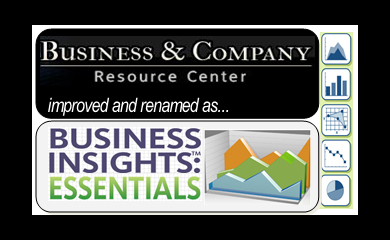 Business & Company Resource Center becomes Business Insights: Essentials. Not only did Milne get some physical renovations over the summer, but one of our recommended Business Databases also got a make-over. The database allows you to research and compare companies and industries using industry rankings, company profiles, market share data, investment reports, charts, graphs, and more. Check out the full details on what’s different from the old Business and Company Resource Center with this handy guide. 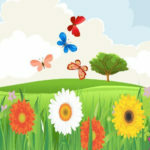 Looking for ways to indulge your creative spirit? 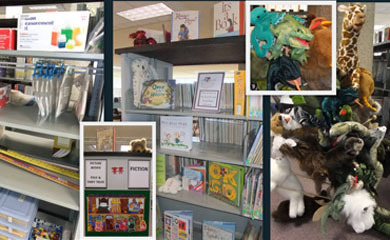 Milne Library’s Imaginarium and TERC areas are bursting with resources and equipment to help you create craft projects, lesson plans or displays (at the very least). The Teacher Education Resource Center (TERC), located on Milne Library’s Lower Level, offers students a large collection of curriculum resources for preK-12 instruction, including textbooks, videos, puppets, audio and manipulatives, as well as an extensive selection of fiction and non-fiction books for juvenile and young adult readers. The Imaginarium, located across from the TERC area, contains a die-cut machine, and die-cuts for creating projects. A small selection of craft supplies is usually available, however, users should bring their own paper. The room also contains a table for creating lesson plans or working on projects. We’ve even got a Pinterest board with some ideas for projects! Both areas are open whenever the library is open and are available for use by students, faculty and community members. Please feel free to contact Education Librarian, Michelle Costello – [email protected]– with any questions or comments. 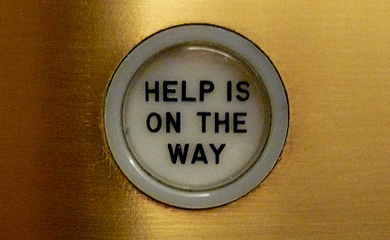 Searching Milne Library’s print and digital collections has never been easier. 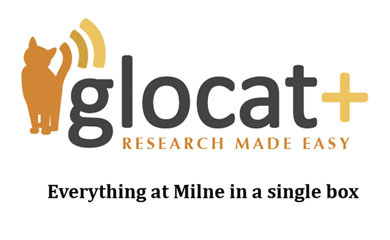 GLOCAT+ is the only tool you need to find books, journal articles, multimedia, and everything else that Milne Library has to offer. 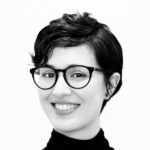 Featuring a single search box and powerful facets to hone in on what you’re looking for, GLOCAT+ quickly connects you to the resources most relevant to your needs. 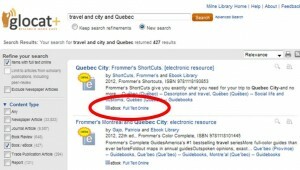 You can even save specific resources and export them in APA, MLA, and other popular citation styles. Give GLOCAT+ a try today and experience research made easy. 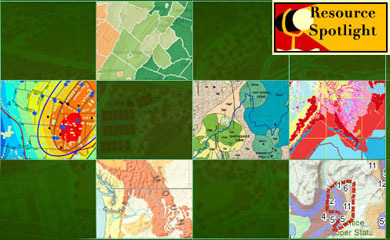 Milne Library, in collaboration with the Geography department, has created a research guide for Geographic Information Systems and Geotechnology. This fast-growing, practical, and influential field of study is both evolving and diversifying. It is used heavily in many fields to visualize data, including (but certainly not limited to) medicine, law enforcement and business. 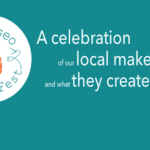 GIS incorporates visual-spatial data, and data in a way that allows the user to view and even manipulate information, ultimately providing those users with more context and a clearer understanding of that data. Whether you’re looking for examples of resources that incorporate GIS, looking to learn more about this ever-growing field, or even looking to create your own data-infused-maps, this guide can get you started!